Grains ‘n’ Green Ltd., a company headed by illustrious businessman Roshan Perera has ventured into agriculture with an initial investment of Rs. 150 million. The company has launched the new innovative brand of rice ‘Akshata’, which caters to the fast growing health conscious consumers who are looking to make changes in their eating habits. The growing demand for this product has spearheaded the creation of a 50 ton rice milling factory before the end of the year. The brand is now available in leading supermarkets island-wide with traditional rice varieties namely, Pachcha-Perumal, Suwandel, Kuruluthuda, etc. and are sold in convenient packs of 800 grams. Akshata was created to be in line with the mainstream brands that offer gluten free options with the advantage of being both traditional and wholesome. 30% of Sri Lankans are looking for wholesome gluten-free and low GI rice with a light texture and thus Akshata offers a variety of rice strains that have been bequeathed from the time of our kings. The brand’s pay-off line, ‘Unravel the mystique of royalty’ pays tribute to this brand of rice which is a rich inheritance of Sri Lanka’s glorious past. History as well as modern research findings indicates that these varieties of rice can be part of a healthy diet for the average consumer. It also means people with diabetes, or at risk of diabetes, can select the right rice to help maintain a healthy, low GI diet. Conversely, foods with low GI are those that have slow digestion and absorption rates in the body, causing a gradual and sustained release of sugar into the blood, which has been proven beneficial to health, including reducing the chances of developing diabetes. The company has identified the key gene that determines the GI of rice, an important achievement that meets consumer needs and the future need for rice flour to replace the need to import wheat flour. Perera is a Sri Lankan entrepreneur, business magnate, investor and philanthropist. He was the CEO of a ceramic factory in 1996 which he geared to make into Asia’s largest ceramic figurine manufacturing company. He eventually owned the company employing over 5,000 staff. The company was the flagship supplier to multinationals like Disney, Hallmark and Walmart. 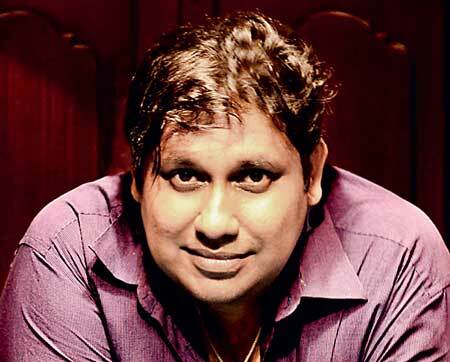 At 22, he was considered the youngest Sri Lankan billionaire entrepreneur to run organisations with over Rs. 10 billion turnover. By 2001, his business empire was diversified into ceramics, packaging, freight-forwarding, clothing and fashion, entertainment, media and investments.